Vapur's new Element is the perfect companion for your on-the-go lifestyle. 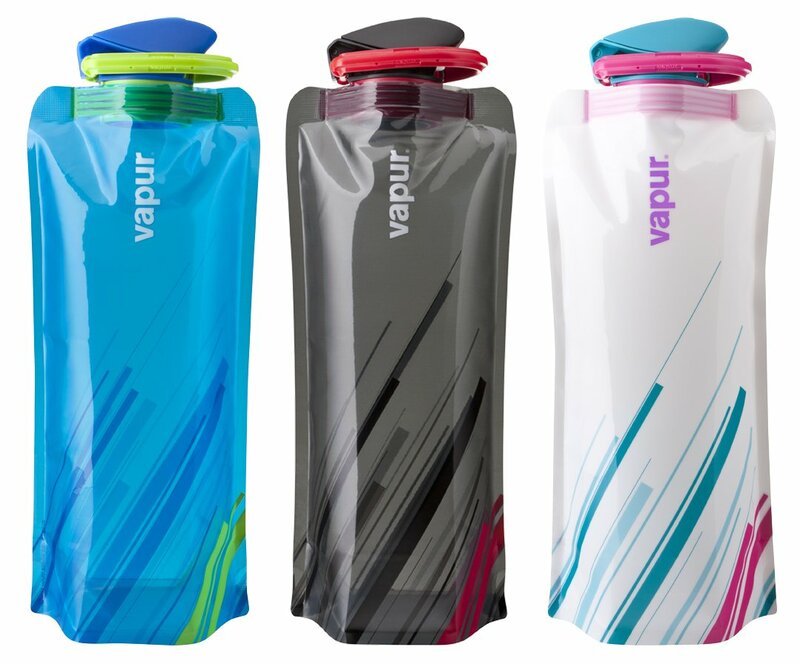 The Vapur Element is the only water bottle that rolls, folds or lies flat when it's empty. When you fill it up it stands by itself. The Vapur Element has an integrated carabiner to carry easily on your purse or backpack. Plus it's freezable and dishwasher safe. The Vapur Element's new SuperCap has a wider mouth, wide enough to put ice cubes inside, and is easier to open than a regular sports bottle: just pop the cap up. Plus the entire bottle is made in the USA with a durable polymer that's BPA-free. Take the Vapur Element with you and stay hydrated throughout the day. NEW! SuperCap. Wider mouth, easier to use, comes with attached carabiner. Designed from the ground up to meet the performance needs of outdoor enthusiasts.